Abstract: The Open Access movement in scientific publishing has been gathering momentum in the European Union and its member states, partly due to the policies of some of its main research funders. Similar policies are being implemented worldwide. Already we have seen encouraging research results on the effects of openness on the dissemination of scientific outputs. As business models of Open Access publishing are still under development, but there already is evidence that open access is becoming a major trend in scientific publishing. Recently the requirement of openness is also set to the research data. Today, openness and transparency are crucial to the development of research: we have already seen promising results emerging from data mining and other digital techniques that surpass the abilities of the human mind to handle huge masses of digital data. This poses new challenges for academic libraries and their leaders as well as demands for new services. Ideally, science should aim at complete open access to subject all research to the systematic critique of the whole scientific community and for the benefit of all the society and its members. Science can be better advanced when all researchers have access to both scientific publications and the material from which they draw, i.e., research data; and at the same time its effects to the society will increase. To build this ideal world we need a lot of political lobbying, hard work from the libraries and from the scientific publishers and new methods and research to depict and analyze the rapidly evolving environment to give new tools to the researchers in all the disciplines. From the educational point-of-view there is a need for special education to give to the students the skills they will be needing in the future library work. References: Ilva, Jyrki & Laitinen, Markku & Saarti, Jarmo (2016). The Costs of Open and Closed Access: Using the Finnish Research Output as an Example. LIBER Quarterly 26(1). DOI: http://doi.org/10.18352/lq.10137. Muhonen, Ari & Saarti, Jarmo (2016). The changing paradigm of document delivery – exploring researchers’ peer to peer practices. Interlending & Document Supply 44(2):66-71. Brief Biography: Jarmo Saarti is the Library Director of the University of Eastern Finland (UEF) and adjunct professor (docent) both in the University of Oulu and in the University of Tampere. He graduated from the University of Jyväskylä in 1986 (MA). After that, he worked in several libraries, both in the public and academic sectors. He started to work on his doctoral thesis (information studies) in 1996 and was awarded his PhD at the beginning of 2000. He was awarded his second PhD at the end of the 2013 from the University of Jyväskylä (literature). 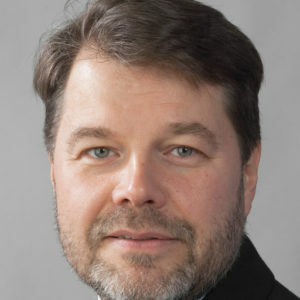 He has been the chair of the board of the National Repository Library in Finland and a member of the board of the National Library of Finland. He has been a member of the IFLA’s standing committee of the Academic Libraries and Other Research Libraries Section and is at the present member of the Standing Committee of the Section on Document Delivery and Resource Sharing. He was elected as the chair of the Finnish Research Library Association (STKS) for the years 2014-2017 and as a board member for the Federation of the Finnish Learned Societies for the years 2017-2019. He has specialized in the knowledge organization of fiction and in the management of libraries. He has published about 300 professional and academic papers and he has written, co-written or edited about 50 books and supervised several PhD students.